High quality top soil is vital for the health of your garden. It provides the nutrients for your plants as well as ensure that the roots are well drained. Keeping your topsoil in good condition is the best way to keep your garden healthy. If you have moved to a new build home, you may wish to completely replace the topsoil in the garden. This will ensure that you have the best possible soil for your plants and growing conditions are ideal. 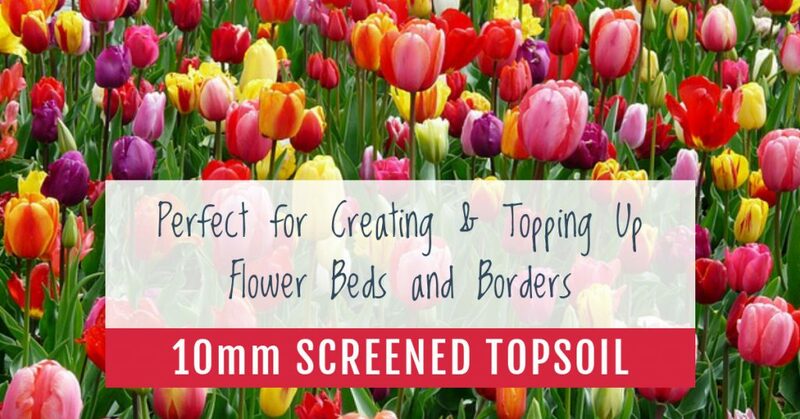 What is 10mm Screened Topsoil? Topsoil makes up the top 20-30cm of soil in your garden. This is where all the nutrients are that feed your plants. Though your garden will already have some topsoil, it is worth adding to the layer with new topsoils and fertilisers to improve the quality of the borders. If you have a new garden and your plants are struggling, you may wish to completely replace the topsoil with some more appropriate to your plant choice. 10mm topsoil is soil that has been passed through a sieve to get rid of stones and particles that are larger than 10mm. This is ideal for gardeners because these small stones will help to aerate the soil and improve the drainage. How should I Use Topsoil? There are lots of different types of topsoil but 10mm screened topsoil will do for most things including flower beds and borders. However, this type of topsoil isn’t appropriate for laying beneath turf as it may not settle evenly. Flower beds need a lot of nutrients to continue looking their best. The best way to achieve this is to apply a new layer of topsoil combined with fertilizer or compost each spring. This will give your plants a boost and plenty of energy to get them through the season. If you want to start growing vegetables, you need to start with a good quality topsoil. The simplest way to start growing vegetables in your garden is to create a metre squared area using planks, a vegetable patch. This will make a small raised bed, ideal for reaching your veggies as they grow. Use a few square metres to create an easy way to rotate your crops. Raised beds are perfect for gardeners who struggle to bend down to ground level. Instead of spending all your time balanced on your knees, you can walk between your beds and reach your plants more easily. To build up the beds, you can use planks or you can ask a builder to build stone walls for you. Then, all you need to do is fill in the spaces with plenty of topsoil and you can start planting. Working out how much topsoil you need is quite a simple process, all you need to do is calculate the volume. This is very simple just multiply the length, width and depth of your flower bed like this: volume= length x width x depth. 10mm screened topsoil costs £15 per tonne + VAT. 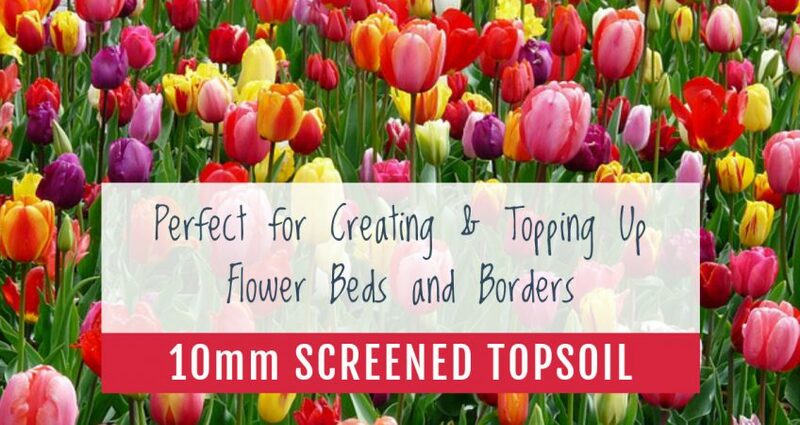 Are you based in Essex and in need of 10mm screened top soil? Then, give TJC Transport a call today!